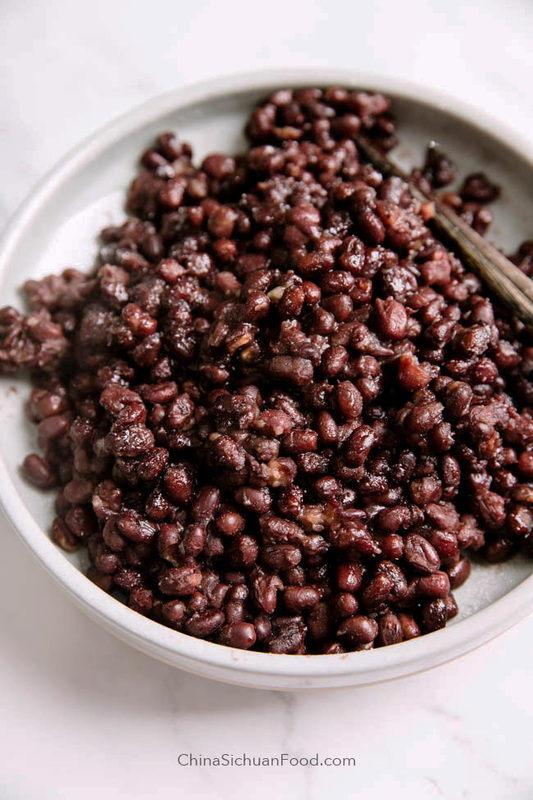 Soft and sweet sweetened red bean is one of the most popular side ingredients for ice creams, desserts and fillings for beads and buns. Most of Taiwanese and Cantonese desserts loves to use sweetened red bean as topping or side ingredients for example in Grass Jelly (仙草烧), double skin milk (双皮奶), taro balls (芋圆糖水). And it is also the perfect highlighting parts of common milk bread. And it is surely a shortcut for a common red bean soup. It is the former step of Japanese Anko. You can smash the red beans and further made it into a very smooth and yummy paste. Red bean sweet bun is the most famous sweet Chinese buns. 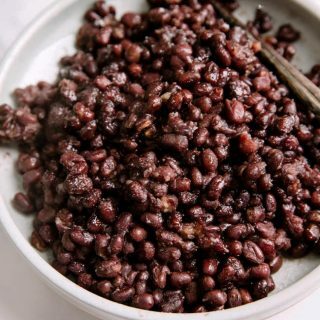 I am making this batch of sweetened red beans for copycat a very popular red bean pan-fried bread recently in a famous Northern Chinese restaurant. And sometimes I also love to use it as a decoration of my breads. 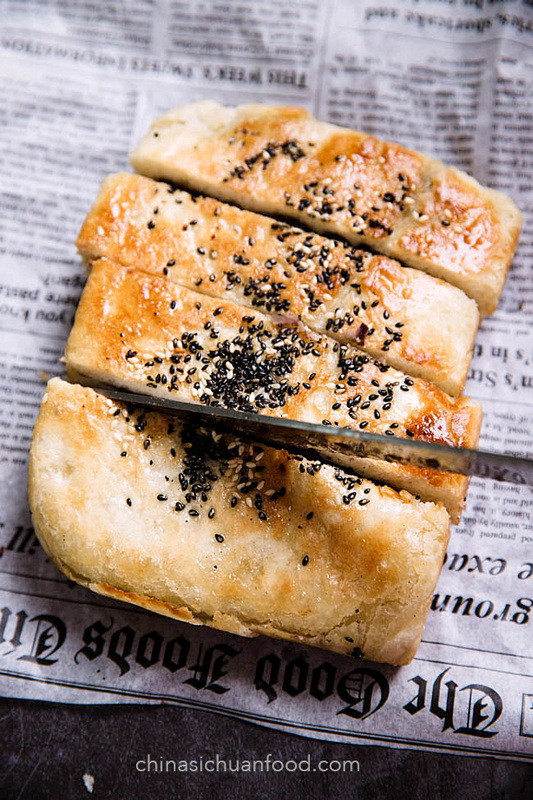 It provides a totally different texture from fine and smoothie paste and it can be dotted as decorations, giving breads and buns wider texture changes. 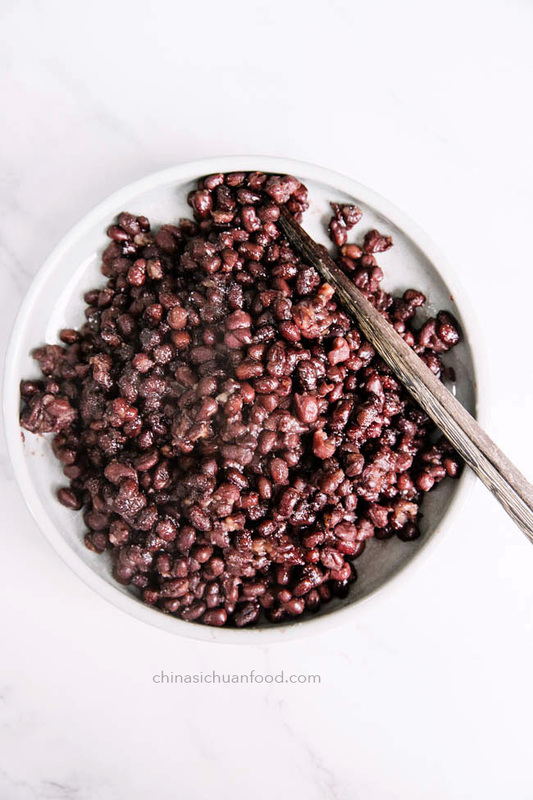 In addition, with this already softened red beans, you can also make a quick red bean soup with ginger and dried tangerine. Pre-soaking is the most important step for a quick softened red beans. Overnight soaking is required. High pressure cooker or even rice cooker can save lots of time for this recipe. If you do not want to use a high pressure cooker, you can make this on stove too. The key tip is to cook those beans intermittently. It can help to fasten the cooking process and save energy. Firstly place soaked red beans (overnight soaking) in a deep pot with a large amount of water. At least 5cm higher. Then bring the content to a boiling and then continue boil for 15 minutes. Turn off the fire and wait until for 30 minutes (covered) and continue cooking until the beans are bloomed. The heat and cool process can fasten the blooming of the skins. Clean the red beans and soak with clean water overnight. On the next day, drain. Place the red beans into high pressure cooker. Add water until 2cm higher than the beans level. Cook for 20 to 25 minutes in high pressure cooker. Almost all of the water should be absorbed well. Spread castor sugar, cool down and fridge overnight before using. In a stand mixer, place all of the dough ingredients in and then knead for 6-8 minutes at slow speed. Shape the dough into a ball and set aside in warm place for 1 hour or until double in size (the time needed is very much depending on your room temperature). Add around 2 tablespoon of flour in the dough and continue kneading the dough for 2 minutes at low speed in a stand mixer. Transfer out and halve the dough. Shape each portion into a large rectangle. Imaging there are there parts of the rectangle, lace the sweetened red beans in the middle part and fold the two ends over. Seal the wrapper completely. Repeat to finish the other half part. 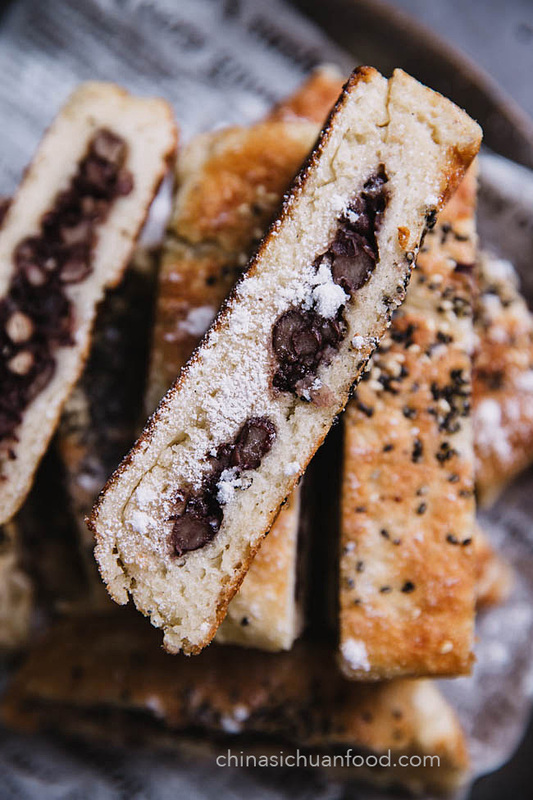 In a non-stick pan, brush a small layer of oil and place the large bread in. Fry over medium to slow fire for 6 to 8 minutes for the first side. Turn over the fry the other side for another for 5-6 minutes. Fry the two side in turn for another 2-3 minutes. Slightly fry the four edges too. Cut into small strips using a bread knife and serving with congee or soups.